Want a Google Wave invite? Guess what; you don’t need one! Google has brought the beta version of Google Wave out of the invitation phase and now anyone with a Google Account can start using it. You might ask, “What can you do with Google Wave?” Well, we are still trying to figure that out. Not only has Google pushed Wave into the public domain, but now it is available as a free tool for all Google Apps users. 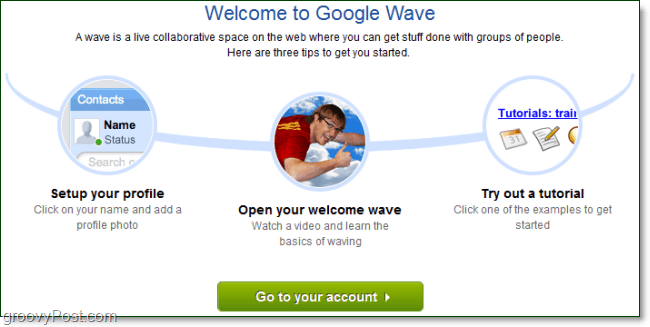 To help all ‘Google Apps Organizations’ get educated on Google Wave – there is a webinar on Wednesday morning May 26, 2010. You can sign-up for the webinar here. It eats a LOT of resources! like…. 200mb firefox/chrome/ie app after 178 messages in a wave – and it might seem like it’s a little, but that’s actually what a regular ‘chat’ window would contain. @Chewbie – Ya know what, I agree with ya. Google Wave is CHAT on CRACK. My only complaint about Google wave is the performance. Every time I use it with Firefox or Chrome, once the “wave” get’s a little long (10-15 updates) it just starts to sllooooowwwww down and eventually crashes. Love it, I just think it needs a Version 2. That being said, now that it’s gone GA, perhaps it will be better??? Anyone notice if the performance is better now? Hehe! I just got 25! and I tried to inivte people to my list but need a lot of time for waiting.